econnext - For People. For Planet. For Profit. We scale our profitable businesses and create sustainable change. We build impactful and profitable companies, different in their business models but all similar in their inherent potential to tackle significant social or environmental challenges. We start, advise and incubate these companies or work with young enterprises, steering and supporting them in accordance with our vision. We are passionate and multilingual. We speak social, environmental and business English. We are a company builder, a green business catalyst and social innovator with decades of financial sector experience. The fluency of our people across sectors is the basis of our successful intermediation between the social, green and finance worlds and allows us to scale and mainstream impact investments. We have worked across Europe, the Americas, Africa and Asia. Our passion to create positive impact for societies around the globe unites us. 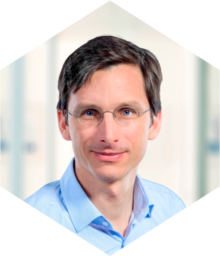 Before co-founding econnext with Jobst, Michael was a banker at Deutsche Bank, starting in 1994 as an apprentice. From 1996-2000, he completed an additional four-year executive training program, taking on responsibilities in a variety of departments, including Public Sector and Corporate Clients, Credit Risk Management, Retail and Business Banking and Private Wealth Management. Between 2000 and 2005 he served as Associate and later Vice President of Deutsche Bank in New York working on asset financing solutions for Deutsche Bank’s largest corporate clients. In 2007, Michael structured the world’s first rated issuance of subordinated loans to microfinance institutions. 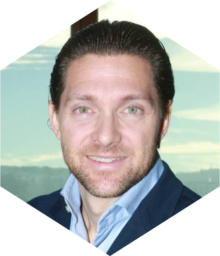 In 2009, he established a team solely dedicated to structuring and managing innovative and transparent impact investment products. This Environmental & Social Capital group subsequently raised and managed more than $800m committed by the Governments of Germany, the UK and Denmark, by Development Finance Institutions such as KfW, IFC and the European Investment Bank as well as Pension Funds, High Networth Individuals and Churches. The investment activities focused on sustainable energy in emerging economies, energy efficiency in the EU and food security in Africa. In the summer of 2013, Michael was named Head of Environmental, Social & Governance (ESG) for the Asset & Wealth Management Division of Deutsche Bank AG. In this role he oversaw the strategy for all ESG activities of Deutsche Asset & Wealth Management, including ESG research, proxy voting and shareholder engagement as well as product development. 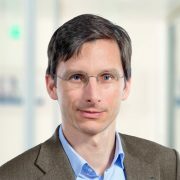 Michael holds a degree in banking from Frankfurt School of Finance and Management (Bankakademie Leipzig). He is married and has two daughters. Prior to becoming an impact entrepreneur, Jobst worked for Deutsche Bank, starting his professional career in 2000. As Managing Director and Head of the Financial Institutions Group Germany he headed a team of ten people. 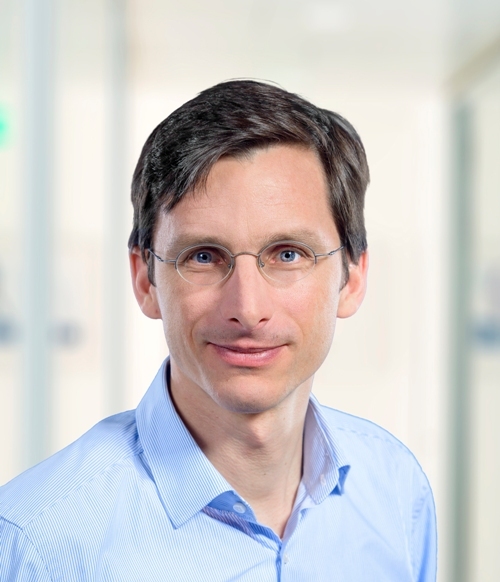 Focus of his team: corporate finance and advisory work for clients in the German home market and Switzerland. Jobst has executed M&A, Equity Capital Markets (IPOs and follow-ons) as well as debt transactions for clients such as Aareal Bank, ABB, ACP, AEGON, Allianz, AWD, AXA, Bundesanstalt für Finanzmarktstabilisierung (Soffin), Commerzbank, Danske Bank, Deutsche Bank, Deutsche Pfandbriefbank, Deutsche Postbank, easycash, ERGO, EURO Kartensysteme, First Data, Frankfurter Sparkasse, General Electric, Hannover Re, Heidelberger Leben, Helvetia, HRE, Infrassure, Interhyp, Landesbank Berlin, Lloyds Banking Group, MasterCard, MEAG, Munich Re, Old Mutual, ProCredit Holding, Stadt Frankfurt , Swiss Life, Swiss Re, Talanx and W&W. Further, Jobst during his time at Deutsche Bank served as coordinator of the “German Energiewende” task force. This Corporate Banking & Securities‘ task force prioritized and bundled various business initiatives addressing the challenges related to the focus on renewable energy production and transmission in Germany. Also, he facilitated the Eye Fund I (closing 2010) sponsored by IAPB and Ashoka. Jobst holds postgraduate degrees from the Universities of Hamburg (doctoral dissertation), Stellenbosch/South Africa (LL.M), London School of Economics (MSc) as well as Dresden (first qualifying law exam). Jobst is married with one child. Part visionary physicists, part hands-on entrepreneur Alexander Voigt is one of maybe a dozen or so people on the planet who can claim credit for helping both Solar PV and storage take off. Over three decades Alex has founded over a dozen trailblazing companies including solar record setters SOLON and Q-Cells and battery storage pioneer Younicos. Starting from backyards in dreary 1980s West-Berlin, he built billion-dollar companies with a unique combination of vision, technical understanding and leadership. A committed green entrepreneur he has continuously invested the proceeds of each venture to drive clean technology to the next level. Since 2013 Alex has developed, and is currently bringing to market, patented, sector-coupling storage technology: Lumenion’s high-temperature steel-based systems effectively store peaks from renewable electricity generation. When discharged later as high temperature steam the energy can either be reconverted into dispatchable power and low-temperature heat for district heating (or cooling) – or be used used directly to provide continuous clean energy process steam for industrial production. In addition, Alex also recently founded and heads the award-winning decentral utility GRIPS, which aims to scale the market for clean energy microgrids by pooling projects and offering competitive clean energy in off/weak-grid regions and thus enable economic development. Alex and his companies have won numerous recognitions such as the Bloomberg New Energy Finance (BNEF) FIRE Award for Sustainable Finance, the BNEF New Energy Pioneer Award, the Kyocera Environment Awards, the GreenTec Award and Eurosolar’s European Solar Prize. Born in 1964, Dr. Brigitte Mohn is the daughter of Bertelsmann Stiftung founders Liz Mohn and the late Reinhard Mohn (1921–2009). She studied political science, art history and German philology at the universities of Bamberg, Munster and Augsburg, earning a Master of Arts in 1991 and subsequently a doctorate. In 2001 she received an MBA from the Otto Beisheim School of Management in Koblenz and the Kellogg Institute in the United States. Her career has included positions with the Kiel Institute for the World Economy; Bantam, Doubleday and Dell Publishing in New York; McKinsey in Hamburg; and Pixelpark in Switzerland. Since 2001, she has served as chair of the German Stroke Foundation’s Executive Board. In 2002, she also became director of the Health program at the Bertelsmann Stiftung. She has been a member of the Bertelsmann Stiftung Executive Board since January 1, 2005. 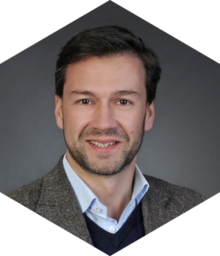 Martijn is a co-founder and Managing Partner at CATALPA GmbH & Co. KG, a single-family office focused on investments in private equity, venture capital and real estate. 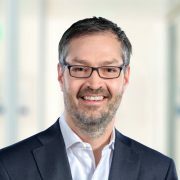 Prior to setting up the CATALPA Family office, Martijn was an Executive Director and General Manager at E. Breuninger GmbH. & Co., Germany’s leading chain of fashion and lifestyle department stores, where he worked for over ten years in various management positions, being an integral part of the successful trading-up strategy executed over the past years. 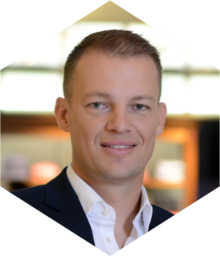 Before coming to Germany, Martijn held various management positions in the hotel industry in Hong Kong and the USA. Martijn holds a degree in International Hospitality Management from the Hotelschool The Hague. He serves on the boards of Social Stock Exchange (UK), responsAbility AG (Zurich) and Sutton Trust (UK). 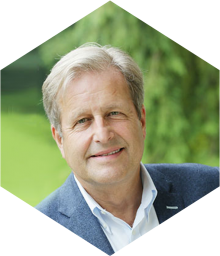 He is on the supervisory board of the European Climate Foundation (The Hague) and is a trustee of both the Mentoring Foundation (UK) and NTYE UK [Network for Training Young Entrepreneurs]. He is on the advisory board of Auticon (UK). Dr. Nathalie von Siemens has been Managing Director and spokesperson of the Board of Siemens Stiftung since January 2013. 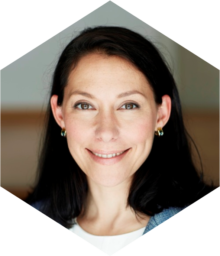 Before joining the Siemens Stiftung Board of Directors, Nathalie von Siemens worked at Siemens AG in the areas of leadership development, corporate strategy, investor relations and corporate communications. In these positions, she focused on the issue of value-based sustainable corporate development. Earlier, Nathalie von Siemens worked in the academic sector. Her research covered, among other things, moral philosophy and business ethics. She earned her doctorate in 2004 with a dissertation about the meaning of friendship in the Nicomachean Ethics of Aristotle. 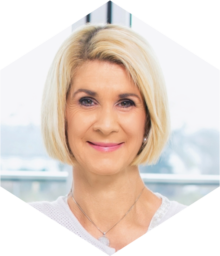 Dr. Nathalie von Siemens is a member of the supervisory boards of Siemens AG, Siemens Healthcare GmbH and Messer Group GmbH. 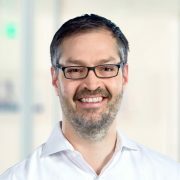 Florian Seubert is a partner and co-founder of Maxburg Capital Partners an investment management company focusing on the German-speaking markets. 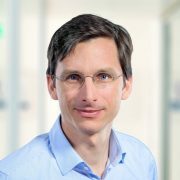 Before setting up Maxburg Florian Seubert co-founded zooplus AG, an S-DAX publicly listed online retailer. Between 1999 and 2013 and whilst serving as CFO, zooplus developed from a 4-person start-up to European market leader with a presence in more than 20 countries. Prior to that, Florian worked for JPMorgan Securities in London and New York. 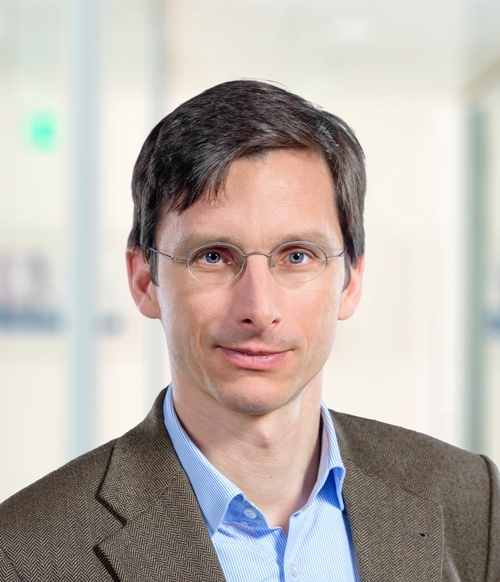 He holds a degree in Philosophy, Politics and Economics from Oxford University and has been an active investor in the German small cap scene since the late 1990s. 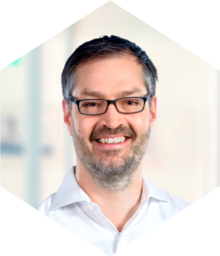 Jeroen is a co-founder and Managing Partner at CATALPA GmbH & Co. KG, a single-family office focused on investments in private equity, venture capital and real estate since 2012. 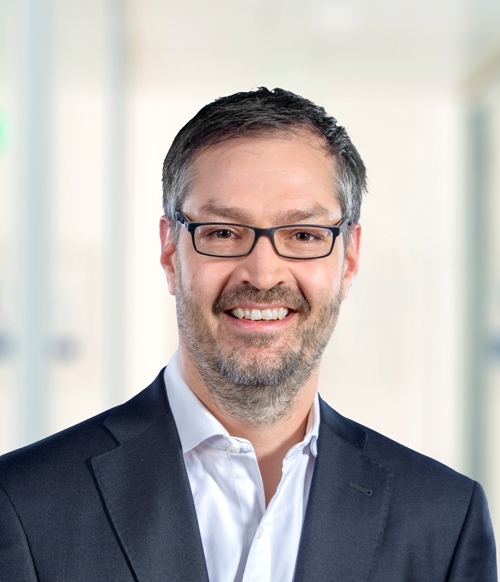 Prior to setting up the CATALPA Family office, Jeroen was an Executive Director at E. Breuninger GmbH. & Co., where he developed and successfully launched the company’s e-commerce business. 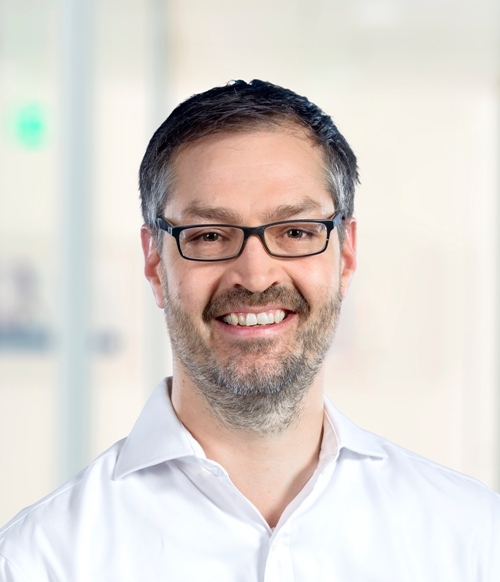 Before his return back to Germany in 2007, Jeroen co-founded LLM, Inc. in 2002 in San Antonio, TX, a leading legal technology solutions provider for large corporate litigation. He was acting COO & CFO from 2002 – 2007. 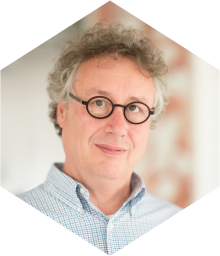 Jeroen is Chairman of the Board at E. Breuninger GmbH & Co. and Member of the Board at LLM, Inc.
We build profitable businesses that benefit climate and society at large. Areas of activity are environmental efficiency businesses (energy, water) with stable monthly cash flows derived from savings, social pay-for-success businesses (education, preventive medicine) that receive a comparatively large cash price once a predetermined social goal is reached, and infrastructure businesses enabling ESG and impact investment considerations in capital markets. Once a business is successful, we seek to integrate our learnings into existing systems and public policy to enable sustainable change instead of parallel systems. We responsibly pursue our mission with perseverance. We work in diverse teams and partnerships. Our social and environmental mission is locked into our articles of association. We strive to create well diversified, largely uncorrelated sources of income. This is necessary to attract the 2,400 Billion USD per year necessary to reach the UN Sustainable Development Goals. We focus on long term value creation, typically picking dividends over exits. We finance our activities conservatively, generally preferring equity over debt financing. Our teams and partners are diverse, well incentivized and treated fairly wherever we work. We work across sectors and geographies. Because social and environmental innovation does not happen in isolation. Having established econnext in the summer of 2016, we already hold a stake in an award winning energy business that makes diesel generators obsolete. We co-financed learning assistant software that provides tutoring at a fraction of the current price. We also completed a consulting mandate from GIZ, the German government owned development agency, for a G20 climate change initiative. We are part of the winning consortium that is consulting the EU Commission on investments in education. Last but not least, we are the corporate finance and impact advisor for a leading social finance bank. Turn off that Diesel Generator! Today, large energy consumers seeking affordable and stable power supply in remote regions oftentimes have no option but to rely on carbon-intense diesel generators. Grips combines clean power supply with portfolio management to substitute diesel-generated energy. Grips is building a diversified and storage supported renewable energy project portfolio – with no need for long-term public subsidies and the potential to supply entire regions and their populations with reliable and renewable power. High quality tutoring at a fraction of the current market price – finally affordable for parents of all backgrounds. GoStudent – Learning assistance affordable for all! Parents of about 900,000 German children pay an average of EUR90 per month for tutoring. These relatively high costs are exacerbating the existing and well known disadvantage of pupils from less affluent households. In addition, many teenagers would prefer anonymous, fast and direct help from a variety of high quality tutors. GoStudent is available on iOS, android and as web application. It offers 24/7 learning assistance by hundreds of registered tutors providing answers that are double-checked at prices that all parents can afford. Improve education infrastructure and establish pay-for-success models. Invest in Education across Europe! We are part of a consortium of experts led by ICF Consulting Services that won the European Commissions’ tender for a study on the feasibility of an education and training investment platform in the context of EAC-472014 (European Commission, DG Education and Culture). While the study will not be published until early 2017, econnext has already submitted 3 concrete proposals establishing innovative investment cases in school and childcare facilities and pay-for-success models benefiting the long term unemployed and school dropouts. Advisory Mandate for the German Government on climate change, supporting its upcoming G20 presidency. Private Sector to combat Climate Change! Mobilizing private sector flows of capital to tackle climate change in developing countries is one of the key subjects of international climate policy. Under the Mexican G20 presidency, a green investment dialogue was formed in the Development Working Group back in 2012. Econnext was asked by GIZ, the German governments’ development agency, to consult on how to best leverage existing workstreams with respect to the upcoming German G20 presidency. The report was successfully delivered in September 2016. Econnext acted as listing advisor for the top management of ProCredit Holding, a profitable, development-oriented commercial banking group for SMEs with focus on Eastern Europe. ProCredit is an impact investing show case and success story: professional local banks in less developed markets were historically built by enthusiastic founders (Zeitinger family and IPC) with the support of catalytic capital by development banks (KfW, IFC, FMO, BIO etc.) and early impact investors (DOEN Foundation, responsAbility, TIAA , Omydiar Tufts etc). By applying state of the art banking know-how to SMEs in countries in transition the local ProCredit banks contribute to the stabilization of the financial systems and economies. The successful listing in the Prime Standard segment at the Frankfurt Stock Exchange will facilitate the broadening of ProCredit’s private shareholder base and the realization of the attractive growth potential. Econnext was delighted to support this landmark transaction as listing advisor in order to contribute to the mainstreaming of the impact investment market. We are looking forward to engaging with you. Any comments, suggestions and feedback are welcome. We will build a powerful and diverse team composed of people with complementary strengths and backgrounds. We therefore welcome anybody submitting their interest in working for econnext or any of its impact family members – feel free to submit a CV or any other feasible representation of your interest by clicking on the ’support our team‘ link or send an email to: info@econnext.com! Content will be added to this page as we grow – below is a start. Die Econnext GmbH wird durch ihre Geschäftsführer Dr. Jobst Freiherr von Hoyningen genannt Huene und Michael Schneider vertreten. Econnext GmbH is represented by its managing directors Dr. Jobst Freiherr von Hoyningen genannt Huene and Michael Schneider. Unser Angebot enthält unter Umständen Links zu externen Webseiten Dritter, auf deren Inhalte wir keinen Einfluss haben. Es kann daher keinerlei Haftung für die Informationen oder Darstellungen auf Seiten übernommen werden, auf die von dieser Website aus verlinkt wird. Wir distanzieren uns hiermit ausdrücklich von allen Inhalten der verlinkten Seiten. Für illegale, fehlerhafte oder unvollständige Inhalte und insbesondere für Schäden, die aus der Nutzung oder Nichtnutzung solcherart dargebotener Informationen entstehen, haftet allein der Anbieter der Seiten, auf welche verwiesen wurde. Our services may contain links to external websites of third parties, on whose content we have no influence. Therefore, no liability can be assumed for the information or representations on pages from linked websites. We hereby expressly dissociate ourselves from all contents of the linked sites. Liability for illegal, incorrect or incomplete contents and in particular but not limited to damage resulting from the use or non-use of such information shall lie solely with the provider of the site to which any of these links refer. Alle Rechte bleiben vorbehalten. Jegliche Vervielfältigung, Übertragung oder Verbreitung der Inhalte dieser Webseite bedarf der vorherigen schriftlichen Zustimmung von Econnext GmbH. All rights are reserved. Any copying, transmission or distribution of the contents of this website requires the prior written consent of Econnext GmbH.